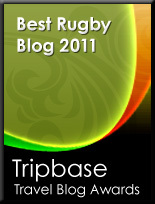 TOTAL FLANKER...a rugby blog: Guinness is good for you? 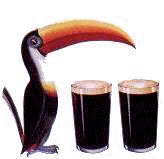 Both regular readers of this blog will recall that last month I gave some free publicity to the Guinness Club Together project on the basis that I thought that it was a half decent idea. In doing so I suggested, with my tongue firmly planted in my cheek of course, that Guinness supply me with some of their fine beverage in exchange for my ringing endorsement. Imagine my initial delight, then, when a courier turned up at my front door today with a few complimentary cans of the black stuff. Which just goes to prove that if you don't ask you don't get. Lord knows, however, what the the courier had been doing with the package en route as my initial delight turned to horror when one of the said cans quite literally exploded all over my kitchen. 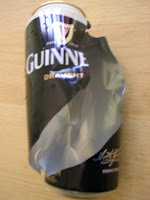 It's not as if I tried to open it - I merely unpacked the cans from their packaging, set them down on the kitchen table and then BANG! - one of them decided to detonate, spectacularly spraying black sticky liquid over the walls, floor and windows. I've literally just spent the last hour or so mopping and scrubbing to try and get the kitchen clean but it still stinks like a brewery (my wife will be absolutely delighted) and I suspect I might actually have to re-decorate to restore the walls back to normal - honestly, it was that bad. All of which probably goes to prove that I'm too much of a smart arse and deserve what I get. 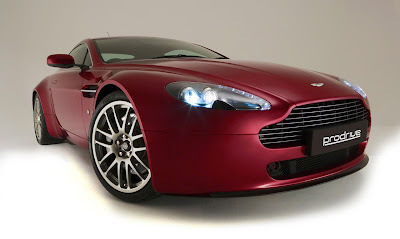 Now, did I mention how much I admire the Aston Martin V8 Vantage, especially the non-exploding type? Now that would make a mess in the kitchen if it went off!